A high-potency accelerator designed for use in catalyzed urethane primers and clearcoats. Super Kick is especially helpful in speeding up the cure of urethane coatings in colder shop environments. It effectively reduces sand and buff times to substantially increase productivity. 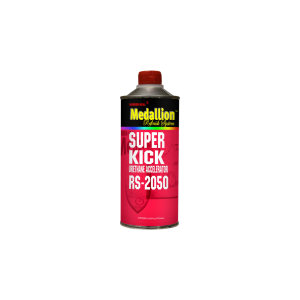 RS-2050 Super Kick must be added to catalyzed coatings only. Available in pints only.